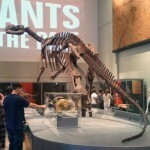 It was my second favourite place in the museum, just after the dinosaur exhibit and a little ahead of the gift shop. 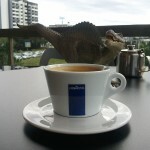 The Museum Cafe is located in next room to the Muttaburrasaurus mount on the north side of the museum, and opens out on to the Whale Mall. 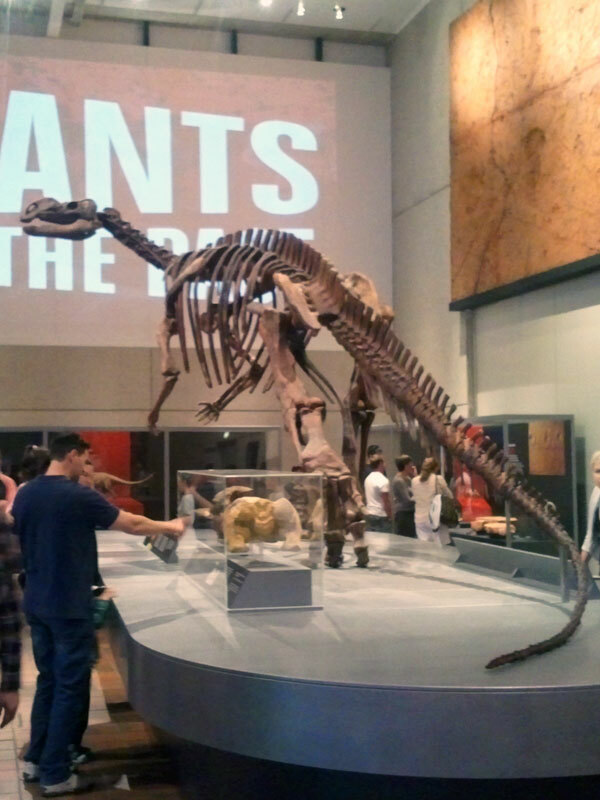 Even though the Museum Cafe serves Lavazza coffee, and does well with it, the Giants of the Past exhibit is going to remain my favourite part of the museum. Even the combination of a respectable long black and the view over GOMA and the State Library just cannot complete with extinct charismatic megafauna. 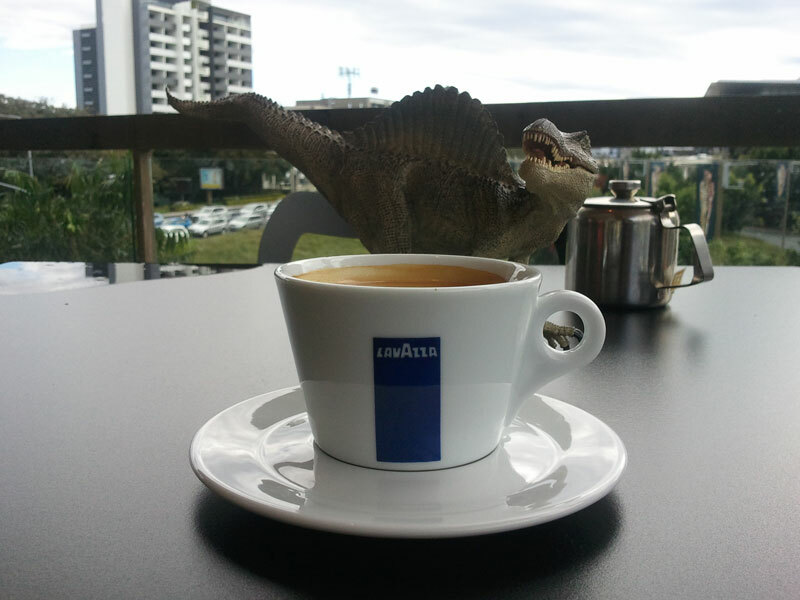 Even though the cafe does cake and seems to have a good range of food, the impressive Muttaburrasaurus mount, the Minmi, new finds from Winton and the cast of the Mesozoic stampede footprints are hard for a black coffee to beat. 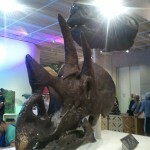 Perhaps if they moved the Dunkleosteus, Triceratops and Tyrannosaurus skull casts into the cafe, it might help. Unfortunately, the Queensland Museum’s cafe at South Bank is only ever going to be my second favourite part of the building. 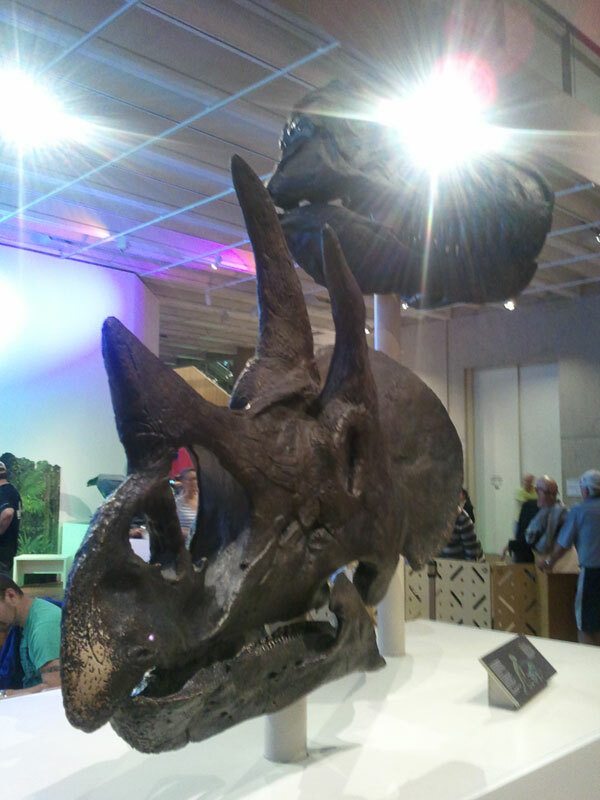 Considering that there are some nice Australian mammal megafauna mounts and a few other good natural history displays, this isn’t too bad.